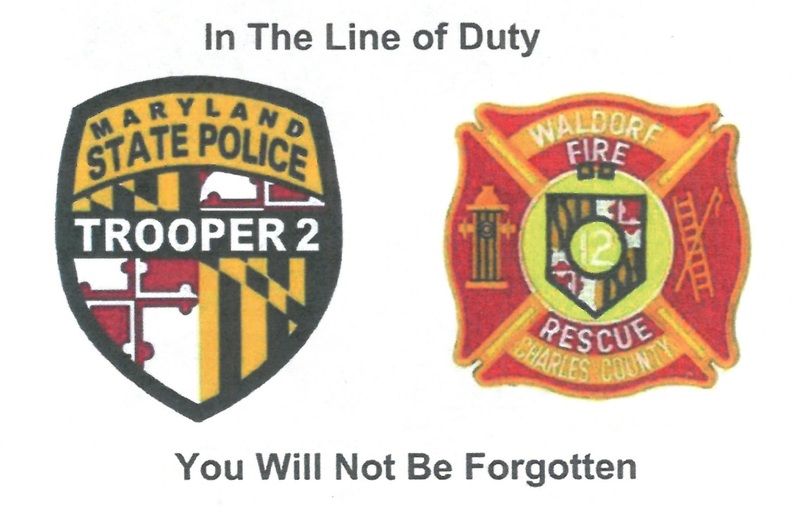 On September 27th, 2008, Trooper 2 responded to Waldorf, Maryland to assist the Waldorf Volunteer Fire Department with a motor vehicle crash. Working alongside first responders, two patients were identified for transport. A second medical provider would be required to assist with patient care in the helicopter. Trooper 2 encountered poor weather while attempting to deliver the patients to a trauma center, and diverted to the closest airport. The helicopter crashed in Walker Mill Park on approach to Andrews Air Force Base. One patient, Ashley Younger, and the Waldorf VFD medical provider, Tonya Mallard, were killed in the crash, as were the flight crew, Pilot Stephen H. Bunker, and Flight Paramedic Mickey C. Lippy. One patient, Jordan Wells, survived the crash, and was located, treated, and transported by rescuers. The Maryland State Police Aviation Command, working with the Waldorf Volunteer Fire Department, seeks to honor these victims with a permanent memorial. The memorial will be located in the Walker Mill Park at the entrance to the walking trail leading to the crash location. A second marker will be placed at the crash site. A fundraising effort is underway through the Waldorf VFD to receive tax-deductible donations which will go directly to the construction effort for the memorial. Once the memorial and marker are erected, permanent maintenance has been arranged through the generosity of the Maryland National Capital Region Parks and Planning Commission. Our goal is to have the memorial erected in time for a memorial ceremony and dedication to be held this coming September 27, the 7-year anniversary of the tragic final flight. Donations can be accepted online or via mail, by using the below web link. It is our sincere hope that you will remember our fallen heroes and give what you can in their memory.